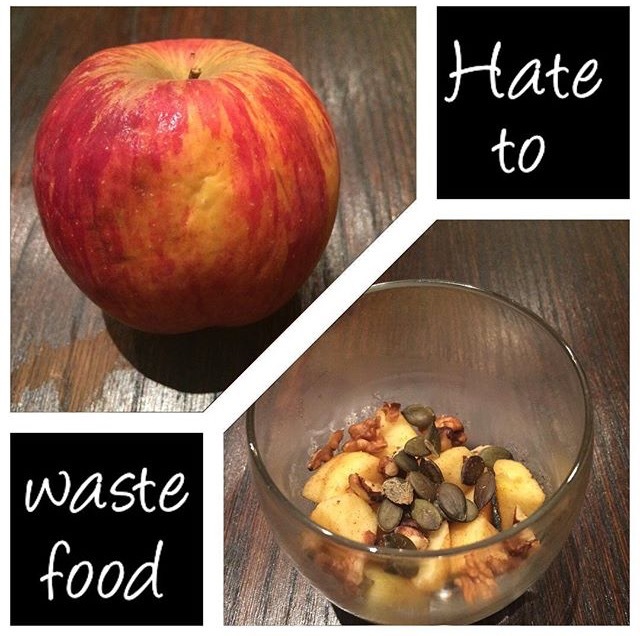 This is month 4 of my 7 month experiment changing my lifestyle into one aspiring for zero waste, making small changes on a month by month basis, until I have completely changed my habits using the ‘We Hate To Waste’ 7 steps to create a no waste mindset. Month 3 was Saving Energy, Water and Other Resources. The habits I have formed in the first 3 months are really starting to feel like the norm now. I no longer have to think about them as much, they are just becoming second nature. Last weekend I hunted out lots of awesome second hand stores in Budapest. I didn’t actually buy anything (I can’t remember the last item of clothing I bought actually) but it’s good to know they are there and they have some lovely things in them, should I ever need anything. 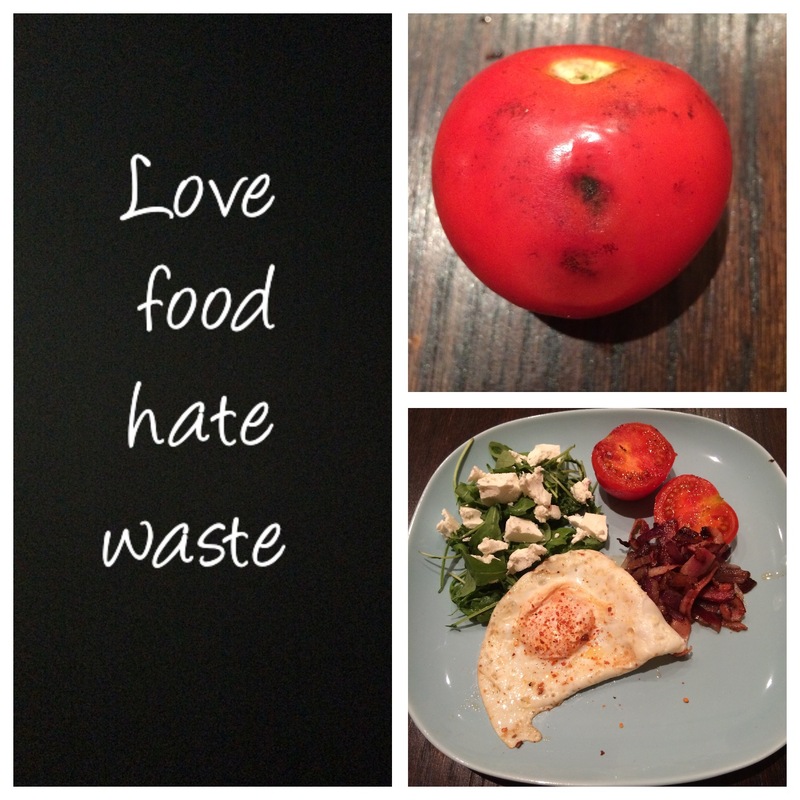 One of the best resources to help me this month was the Love Food Hate Waste Website. This has so many practical ideas and advice on how to improve in this area, it’s been a real help. I am lucky in that I have a shop across the road from where I live, so I never do a big supermarket shop, I always pop in and get the ingredients I need to make a meal, which really helps to not have wasted food. I usually think ahead about 2 meals I want to cook and just by the ingredients I need to make them, which means there is not much chance for food to go off. I always look at expiration dates as more of a guideline and the real test is what the food looks, smells and tastes like. You can see if something is past it’s best and use common sense to decide whether you can still eat it, depending on what it is. I eat out a lot and I always ask for a takeaway for the leftovers. I’ve brought home cake that wasn’t eaten at work, Thai food where the portion was too big and even my friends meal when she couldn’t finish her pasta, rather than it going to waste. Now I just need to stop myself eating it for breakfast and instead having it for lunch! Most weeks, I cook up a few big meals and then divide them up and pop them in the freezer. This is great because if you get home from work late, you just need to heat up a frozen meal. I’ve put all my opened food in the fridge in containers which helps them to last longer rather than just leaving them out lose. This video really helped me to have a different take on a shelf life of food. I have really hardly wasted any food this month as I have eaten everything, even food that doesn’t look great. I ate an apple that was going a bit wrinkly, but I peeled off the skin and stewed it into a lovely desert. I ate a tomato that had a black mark on it, but was totally fine once I cut that bit off and I ate a courgette that was definitely past its best but once cooked tasted absolutely great. This Love Food Hate Waste Website is amazing for ideas on how to prevent wasted food. 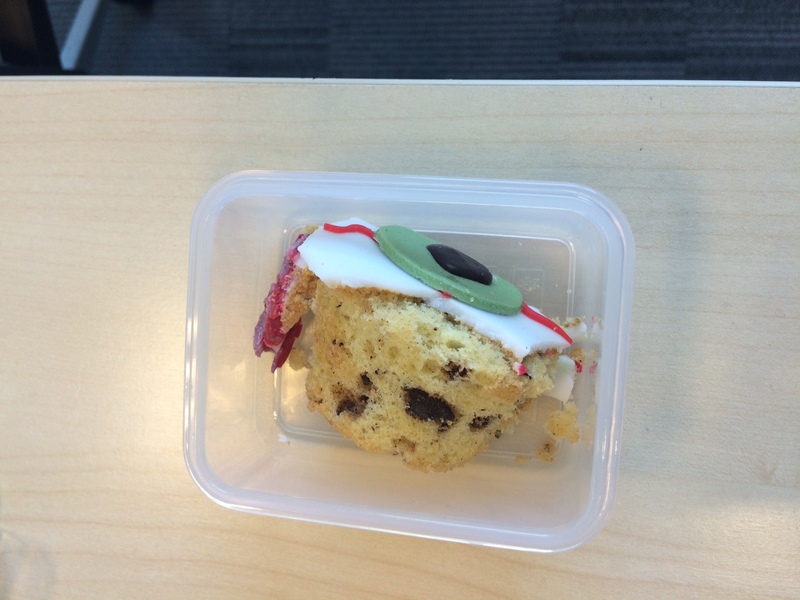 Someone left half a cupcake at a party I had, so I popped into a Tupperware to keep it fresh and took it to work with me for a snack the following day. I was really conscious this month of any food that I had in the fridge or the cupboards that was going to have to be thrown out and before it was, looked at how I could cook it up into a meal. I have scrambled eggs most mornings and that helps because you can throw most veg in with that to use it up. Pizza is always a good way to use leftovers for the toppings. 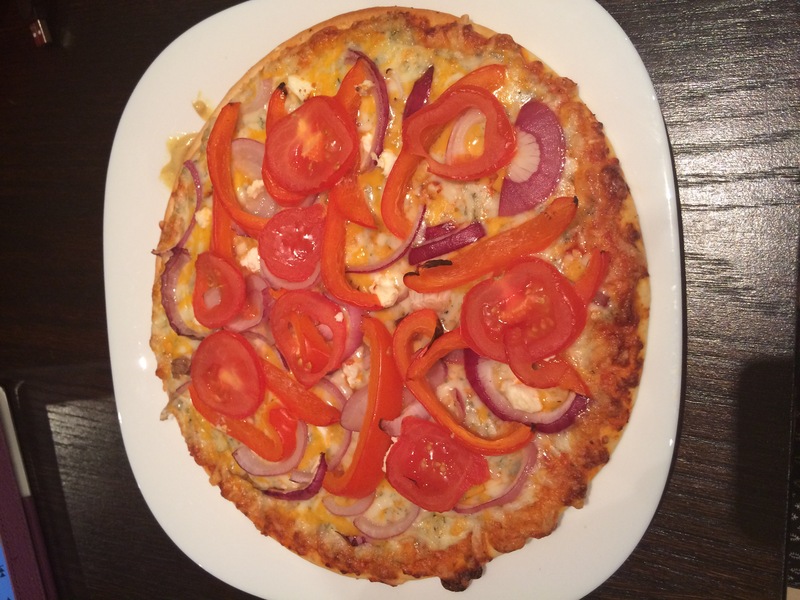 Check out Bestselfology’s Instagram page for more ideas on how to use up ingredients. We had a picnic in the park with a group of friends and we all brought something to share food and drink wise. This meant that at the end there was lots left over. We absolutely made someone’s day when we packed it all up into a bag and gave it to a homeless person on the way home. He couldn’t have been happier. Extra space takes precious resources to cool, heat, and light. When homes have more space than necessary, stuff tends to accumulate, too. How many people do you know who no longer use their garage for a car but to store their every growing collection of possessions? It’s time to live smart. This is a great article that shares the benefits of living in a smaller space. If you live in a household where you have one car per person, consider whether you could reduce by one. Instead can you share a car, share lifts, or use public transport? The tiny house movement is a growing real estate trend where people are choosing to live in home between 65-400 square feet. Living in a tiny house makes us more conscious about how we live like our purchasing and consumption delicious, and the unnecessary baggage in our lives. Declutter your house and discover more space than you thought you had and also the great feeling that a tidy space gives you. Marie Kondo has written an excellent book on how to declutter your life and the advantages that brings you. Of course, rather than throwing things away, give them to a charity shop. Analyse the importance you place on your valuables and why you are attached to possessions. Have less things around you and try to become less attached to anything material. Value experiences rather than things. This is a great article on how to life a less materialistic lifestyle. The best commute is no commute at all. Consider making the most of working from home, to save the commute to the office. I’d love to hear your examples of how you waste less food in the comments below or any ideas you have on living more efficiently.